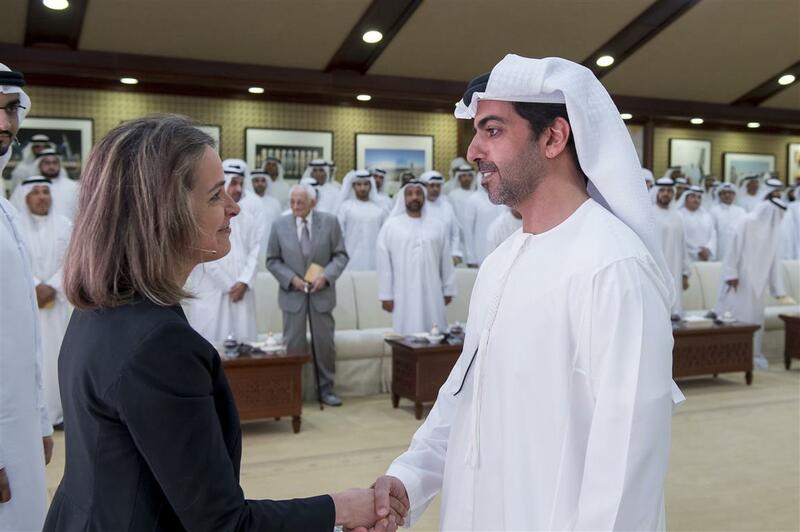 ABU DHABI, 12th April, 2017 (WAM) -- The Majlis of His Highness Sheikh Mohamed bin Zayed Al Nahyan, Crown Prince of Abu Dhabi and Deputy Supreme Commander of the UAE Armed Forces, today hosted a lecture titled "Cultural Map, Analysing the Methods of Thinking, Leading and Accomplishment Around the World", presented by Professor Erin Meyer, Senior Affiliate Professor of the Organisational Behaviour Department at INSEAD University. The lecture was attended by H.H. 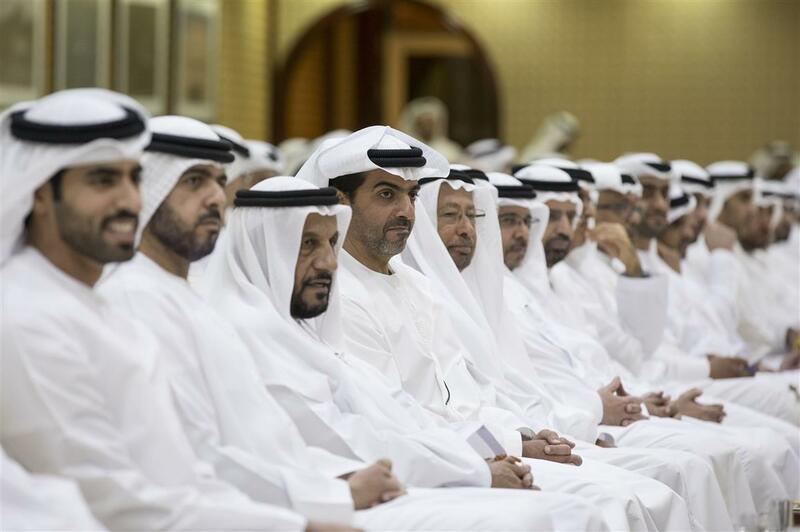 Sheikh Hamed bin Zayed Al Nahyan, Chief of the Abu Dhabi Crown Prince's Court, and a number of sheikhs, ministers, senior officials and members of the diplomatic corps. Professor Meyer spoke about the importance of the ability to analyse or understand other cultures and fill cultural gaps, demonstrating what she defined as "drawing of the cultural map" and its role in measuring these cultures and analysing their global effect in trading businesses. Professor Meyer, who manages two programmes for administrative education at INSEAD University, clarified the method of placing strategies in order to work successfully and paying attention to the effects of culture on work efficiency, while highlighting the characteristics of successful communication between different cultures and the means of conditioning our abilities to influence and negotiate, in order to achieve the best success with the other people of the world. She added that business leaders must harmonise with their counterparts from different cultures and backgrounds, which needs to happen mostly through the virtual world, in light of the continuation of governments and companies in their transformation towards international and virtual space. She stressed that the presence of people from different cultures in one environment might lead to misunderstandings and sometimes to interesting results. She then demonstrated the effects of cultures on the communication system, which is one of the most prominent issues in the field of communication today, while stressing that cultural backgrounds influence customers in other parts of the world, even those who have cultural understanding, and this is mostly due to the strategies of solving problems caused by cultural backgrounds of limited influence. "Our success depends on our ability to understand different cultural facts regarding the way people think and do their work," she noted, while pointing out, "if we are unable to explain and understand other cultures and fill cultural gaps, we might suffer from lower efficiency and the inefficiency of the business team in co-ordinating between each other."